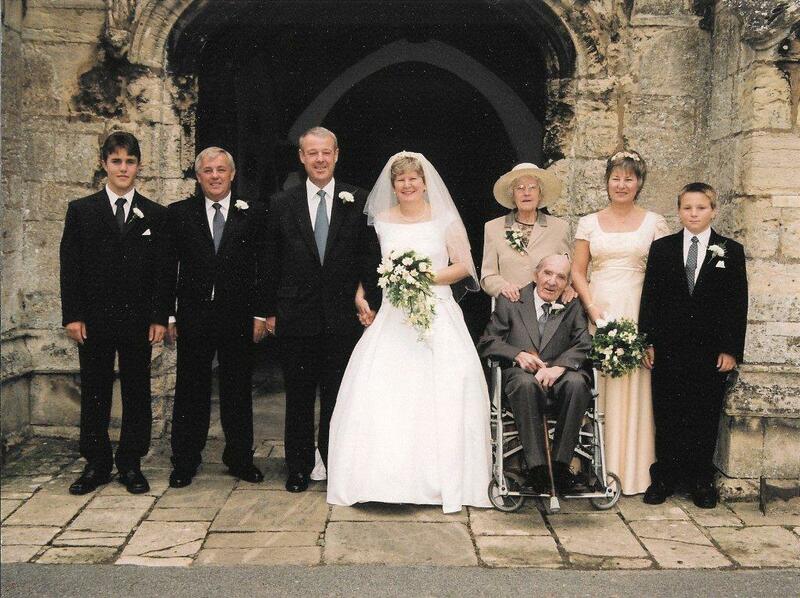 I have just returned home from a cousin re-union in Norfolk, also visiting Walpole St Peter and Walpole St Andrew. 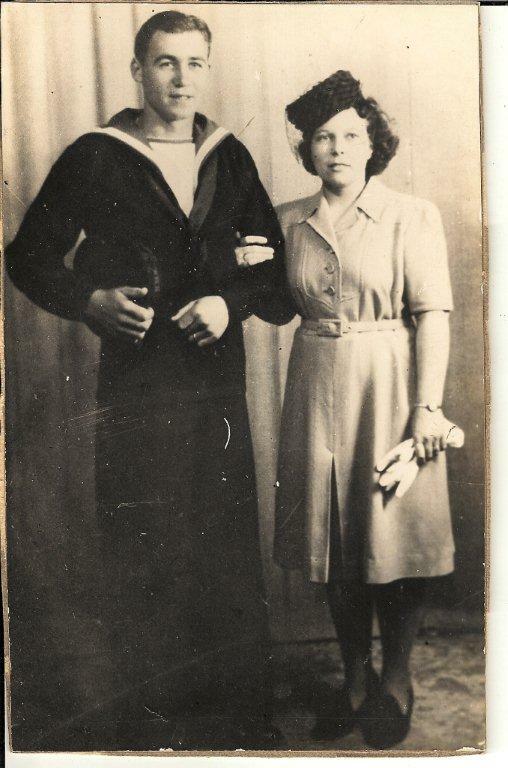 My grandparents were married at Walpole St Peter's church on 13 November 1917. 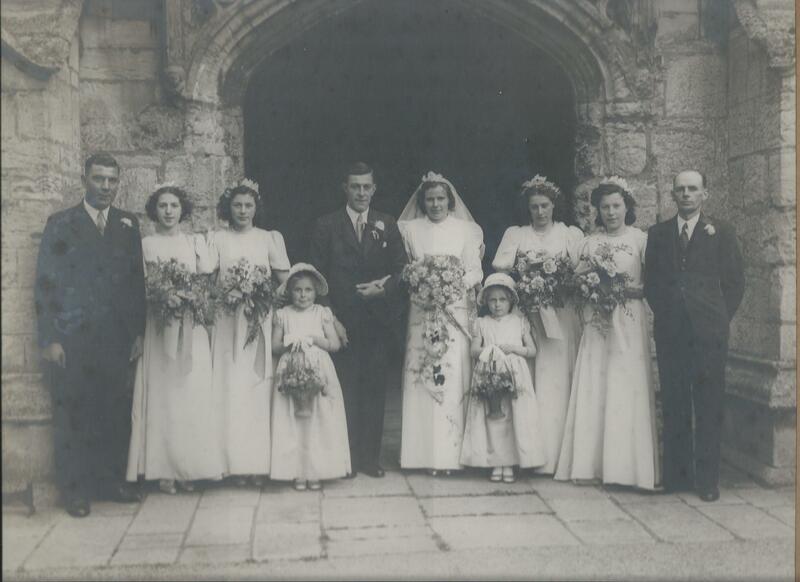 I note you are interested in historical wedding photos from the village so thought, as they celebrated their wedding day 100 years ago on Monday, you may be interested in this photo! My grandmother, Mildred Newton, was born in Walpole St Peter and grandfather, George P Bailey, was born in neighbouring Walpole St Andrew. 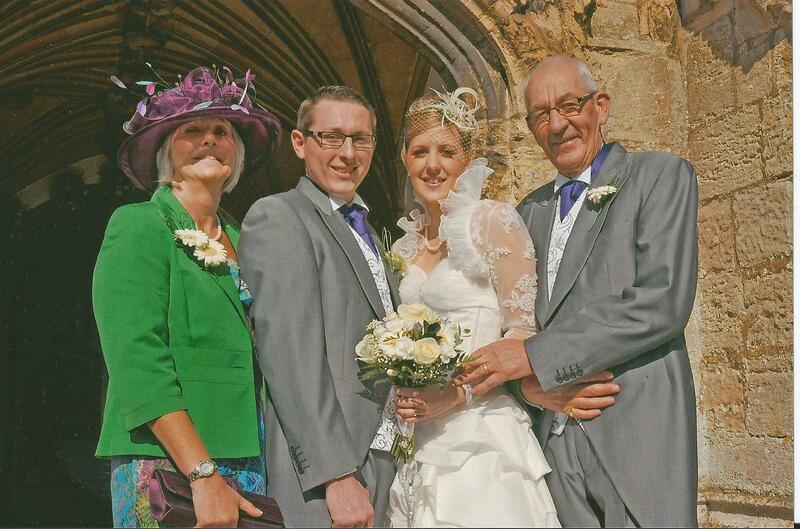 Their wedding reception was held at the bride's parent's home which was Waterloo Farm. Her parents were Charles and Frances Newton - I have newspaper cuttings reporting their respective funerals at the church so have also copied them below. My grandmother's brother, Herbert, sadly died in a riding accident and we found his grave at the back of the church. We also found my great great grandparents, Charles and Maria Newton, gravestone nearby. 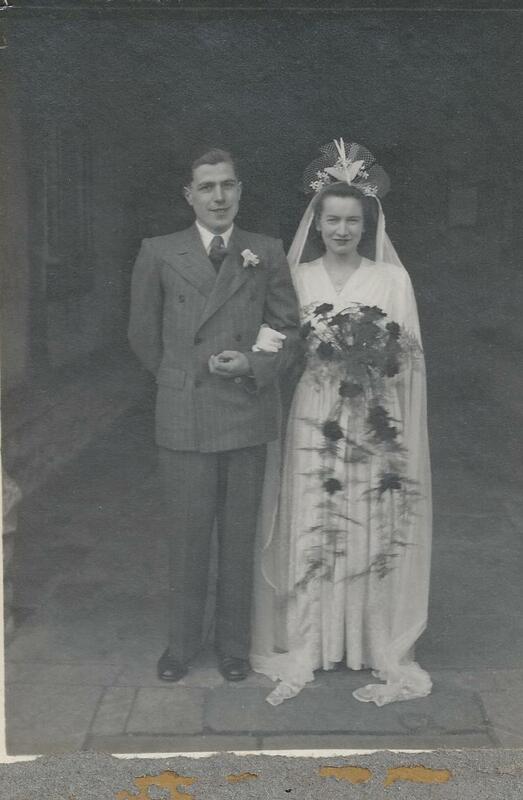 Oughton / Snushall Wedding 1941? 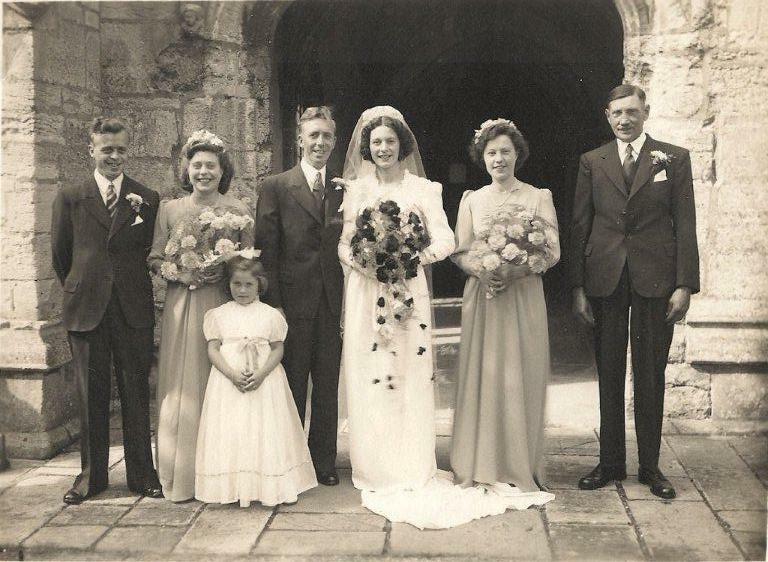 Charles Bowers (groom's cousin & best man), Ida Oughton (bride's niece), Barbara Oughton (bride's sister), Susan Selby (friend), John (Jack) Bowers (groom), Dora Oughton (bride), Graham Scott (? 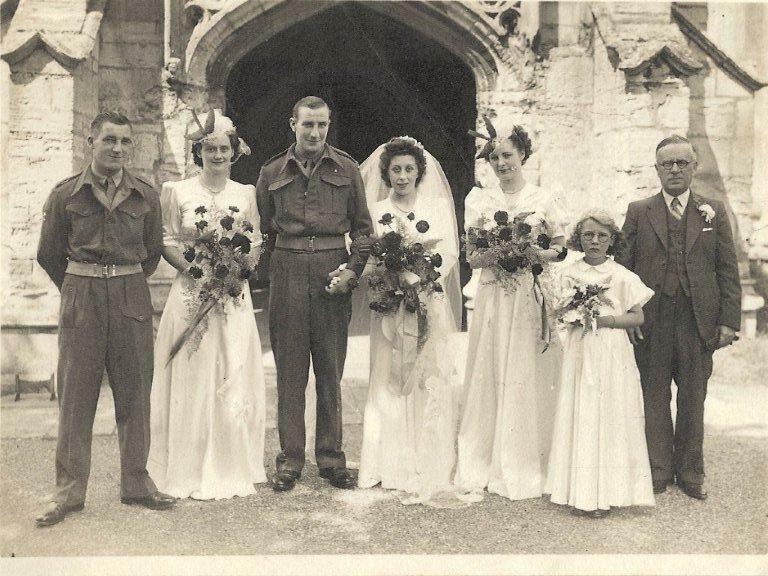 ), Olive Oughton (bride's sister), Rita Scott (bride's cousin), Horace Oughton (bride's father). Jack Woods (groom's brother), ? 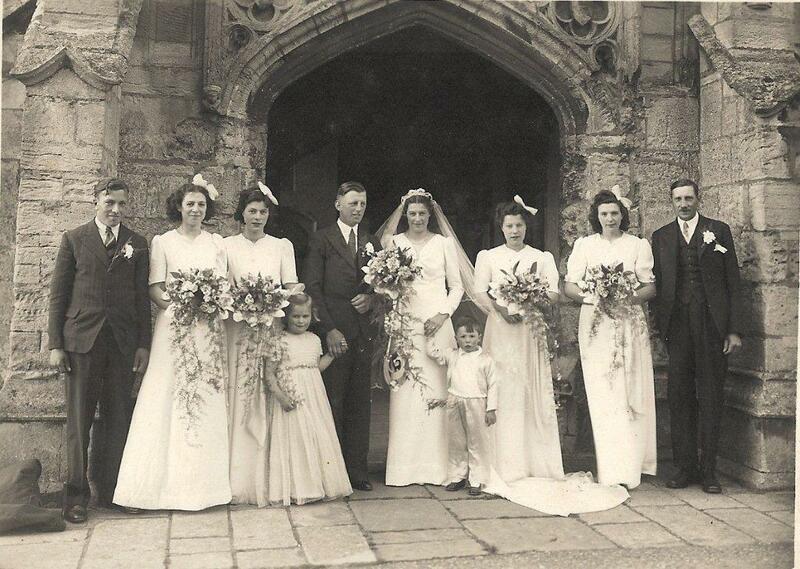 ?, Robert Woods (groom), Joan Chambers (bride), Ilene Woods (groom's sister), Helen Knights, Mr Chambers, (bride's father)? 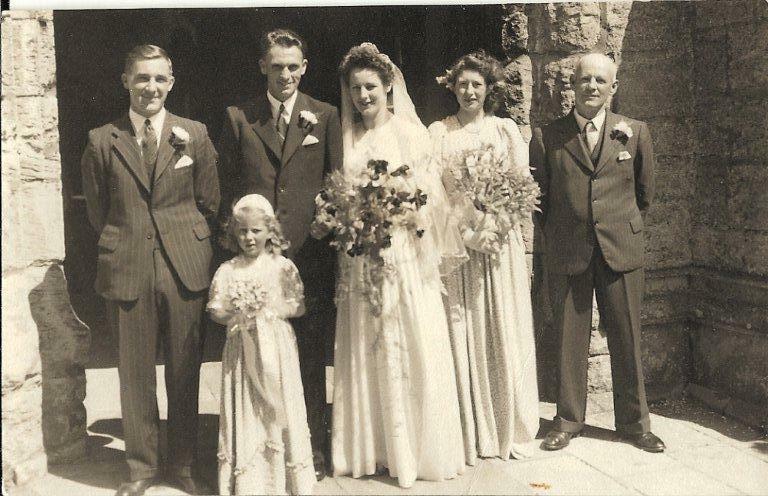 Jack Woods (bride's brother), Jean Knights (friend), Alfred Gathercole (groom), Ilene Woods (bride), Helen Cruickshank (friend), George Woods (bride's father). 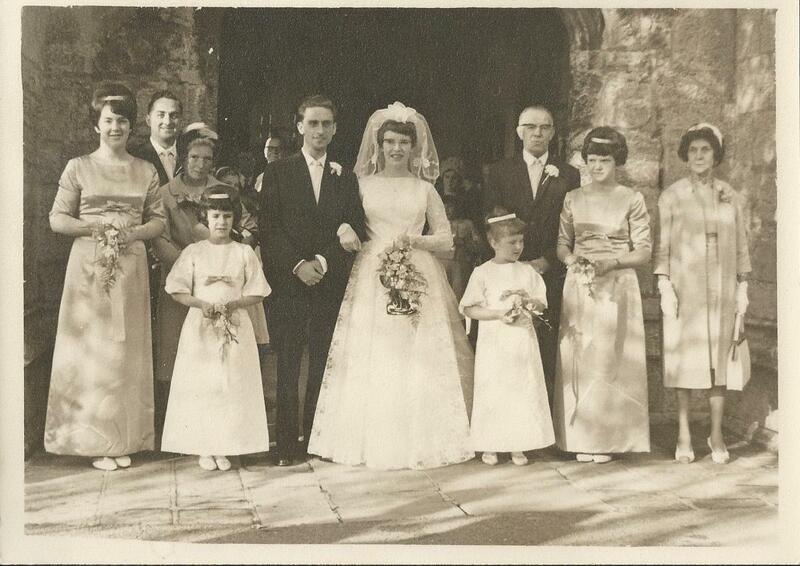 Back Row:- George Woods (groom's father), Robert Woods (groom's brother), Rita Smith (bride's cousin), John (Jack) Woods (groom), Olive Oughton (bride), Barbara Oliver (bride's sister), Horace Oughton (bride's father). 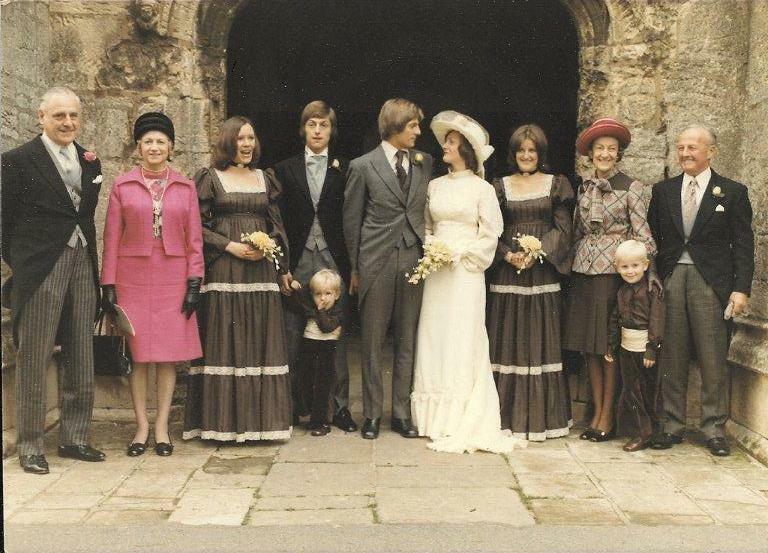 Front Row:- Grace Oughton (bride's mother), Jacqueline Bowers (bride's niece), Lesley Peeling (bride's niece), Susan Oughton (bride's niece), Eliza Woods (groom's mother). N.B. Wedding took place at WSP church but due to extremely foggy weather photos had to be taken in a studio. 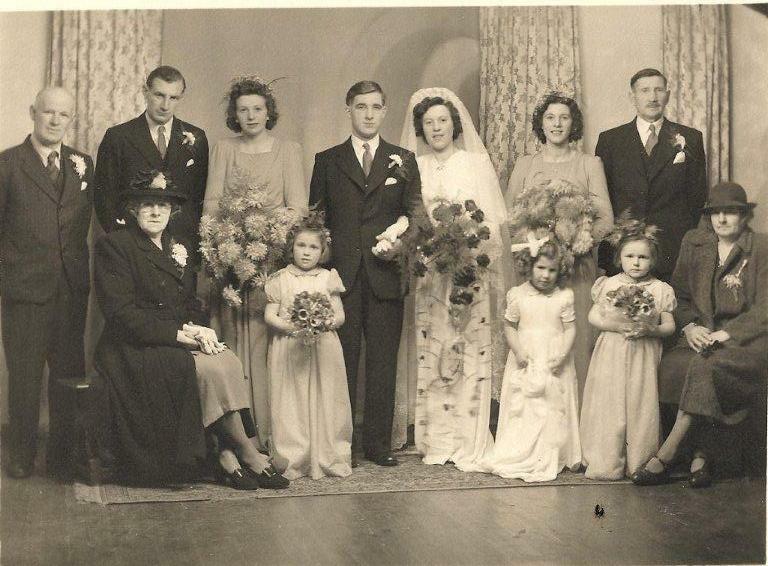 Roy Oliver (groom's brother & best man), Iris Oliver (groom's sister), Jacqueline Bowers (bride's niece), Arthur Oliver (groom), Barbara Oughton (bride), Olive Oughton (bride's sister), Horace Oughton (bride's father). 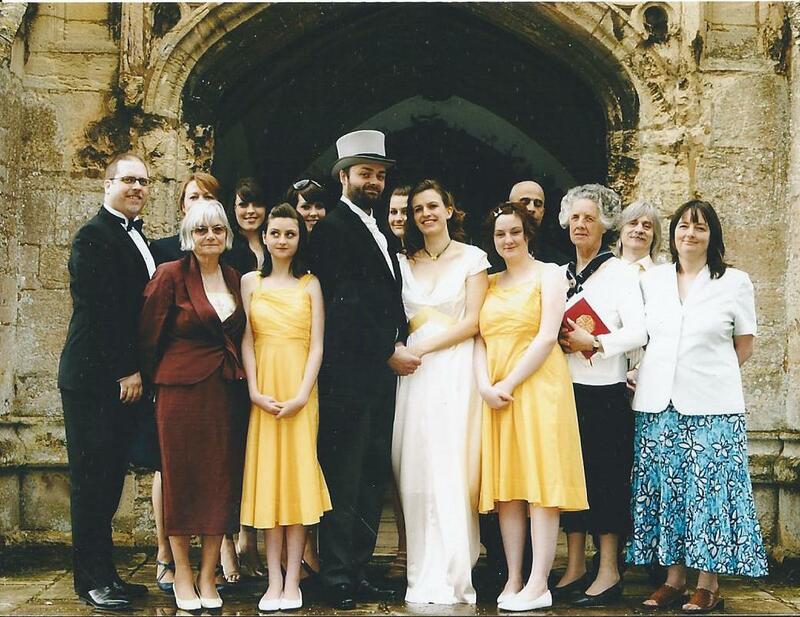 Laura Blunt (groom's mother), Sydney Blunt (groom's father), Caroline Oliver (bride's cousin), Nicola Wiles (bride's second cousin), Chris Blunt (groom's brother & Best Man), Richard Blunt (groom), Jennifer Woods (bride), Gillian Woods (bride's sister), Jack Woods (bride's father), Olive Woods (bride's mother). George Shillaker (groom's father), ? 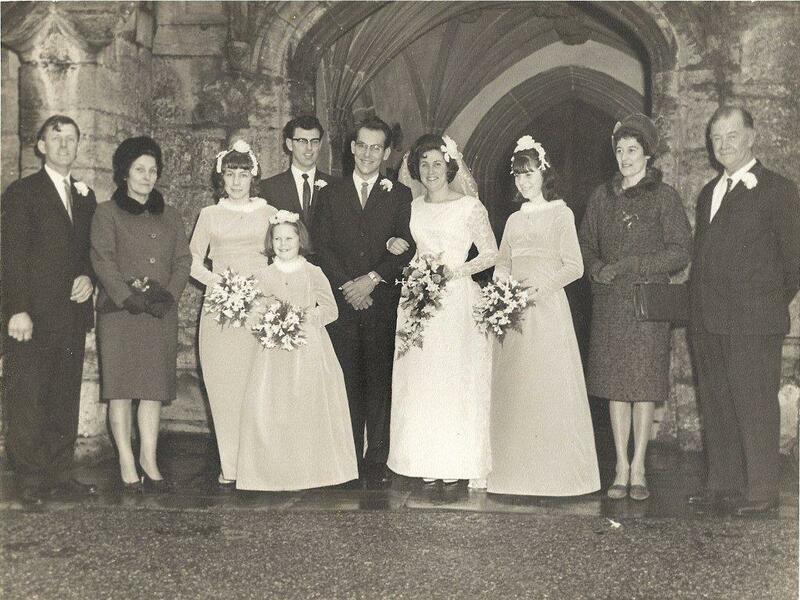 Shillaker (groom's mother), Sarah Markillie, Adrian Shillaker, Warwick Shillacker (groom), Jane Markillie (bride), Anna Cooke, June Markillie (bride's mother), Arthur Markillie (bride's father). Mark and James Shillaker (pageboys). 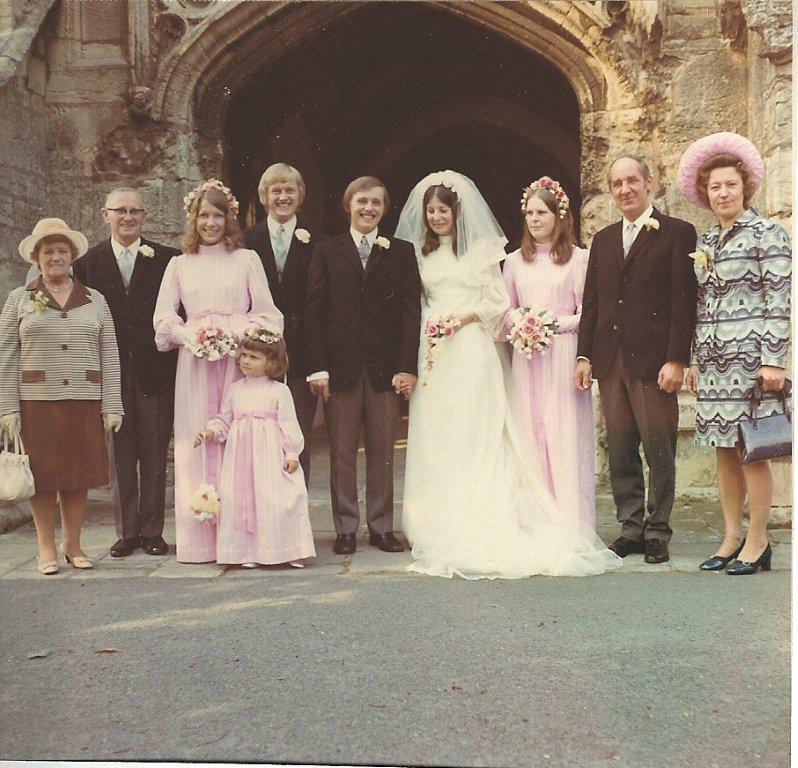 Andrew Blunt (bride's nephew), Richard Blunt (bride's brother in law & best man), Derek Henderson (groom), Gillian Woods (bride), Olive Woods (bride's mother), Jack Woods (bride's father), Jennifer Blunt (bride's sister) Jonathan Blunt (bride's nephew).